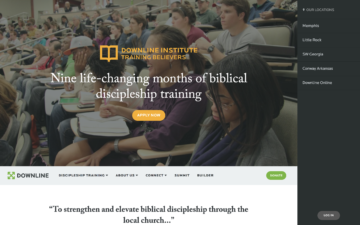 Downline Ministries is a Christian discipleship program with an interesting challenge: how do you make six local campus websites feel like they're all part of a whole? Downline came to us for help redesigning the Downline Ministries parent website and the sites for its six local institutes. While each institute had its own website, they weren’t connected visually (or structurally) to the Downline Ministries parent site. We architected, designed and built a WordPress multi-site that establishes Downline Ministries as the parent organization and uses side navigation to help users find their local institute. 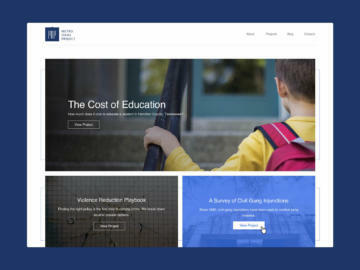 While the new institute websites follow the parent site’s design patterns and content structure, the CMS gives institute leaders the ability to create content and upload images that reflect their institute’s unique culture. The templated multi-site structure also makes it easy for Downline to create new institute sites as they grow. And, because Downline extends beyond the Institutes, the sites had to be flexible enough to prioritize different programs and support application forms for students applying to the Institute, Emerging Leaders and Global Discipleship programs. We had a blast working with Simple Focus. Our meetings from start to finish were fun, productive, and professional. And, the completed work exceeded our expectations. 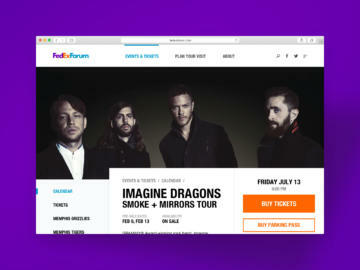 The appearance, functionality, and flow of the website present our vision and mission in a way we are really proud of. Maintaining and managing the site is incredibly easy as well, which was by design. A flexible, modular design that lets a civic think tank show off their data. Making events easier to find (with a side of grit'n'grind).